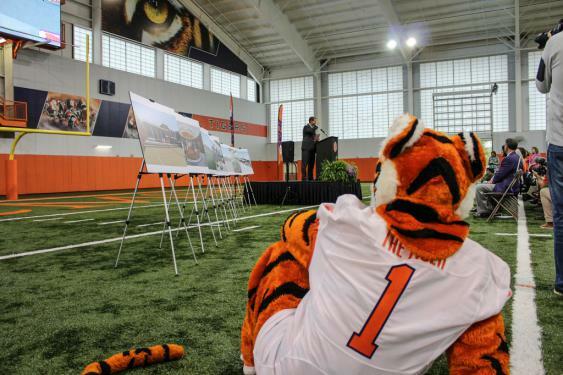 Clemson University selected the DPR-Sherman Construction team to provide preconstruction and construction management for the new Football Operations Facility on campus in Clemson, SC. 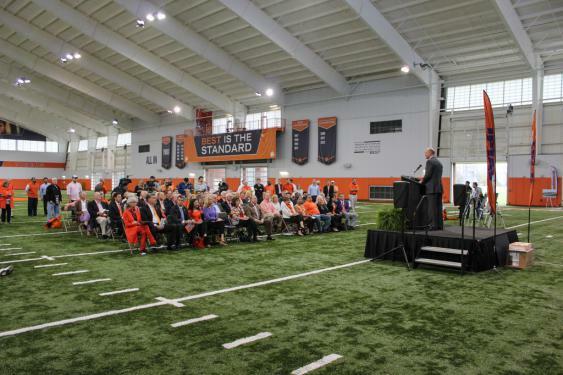 The new football operations facility project is a 140,000-square-foot, two-story building designed to utilize the architectural character of Clemson’s campus. Guests, students and athletes enter the facility through the Hall of Tradition, which includes interactive displays and the Orange Experience viewing room, and continue through a concourse to the sports performance zone and the athlete concourse. Other areas of the facility include the players’ lounge, Paw dining and meeting space, sports medicine, support locker rooms, offices and meeting spaces, and outdoor amenities. 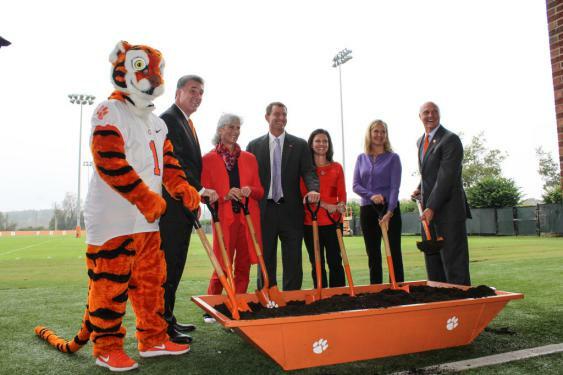 “We are excited to be with a great partner like DPR Construction and get the opportunity to continue our long-standing and great relationship with Clemson University and Clemson Athletics,” commented Andy Sherman, Vice President for Sherman Construction. The project is scheduled to be completed in 2017 at an estimated cost of $55 million. 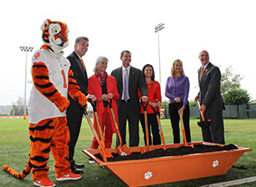 Learn more about the Clemson Football Operations Project.